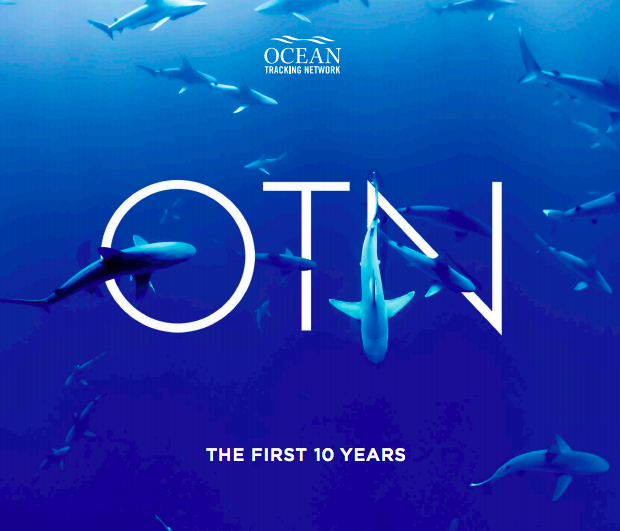 Part photographer, part zoologist, OTN postdoctoral fellow, Damian Lidgard captures stunning “behind the science” scenes of Sable Island’s grey seals as part of OTN’s study to monitor top-predators in the Scotian Shelf ecosystem. Sable Island grey seals are fitted with special tag-receiver units to pick up and store “pings” from the tags of other animals. This novel tracking capability allows researchers to study seals’ interactions with other animals. To date, seals have detected tagged Atlantic cod, Atlantic salmon and Atlantic bluefin tuna. Ocean “hotspots” can be identified by looking at how many animals are interacting in a small range; a high number of seal–tagged-animal detections can reflect an area of high resource productivity. Seals return to Sable Island in June every year to moult. Researchers recover tracking tags glued to the seals’ fur and deploy new tags on more seals. Sixteen seals were deployed in June. These seals will collect GPS and oceanographic data before returning to the Island again in January when their tags will be retrieved for data analysis. 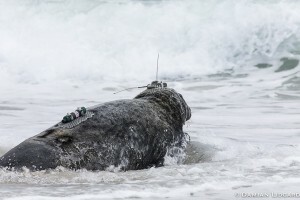 A male grey seal is deployed with a GPS satellite tag (head) and Vemco mobile transceiver (back). Tags monitor location, behaviour (foraging vs. travelling), and interactions with other tagged animals. “This year we deployed a Maritime Biologger accelerometer on the lower jaw of a male grey seal to measure the movement of the jaw and hopefully, along with the fish detections, determine whether the seal ate a fish,” says Lidgard. Accelerometre tags measure fine-scale movements in animals. Typically used to determine tail-beat frequency in fin-fish, this is the first time the tags will be used to take a high-resolution look at feeding behaviour of seals. 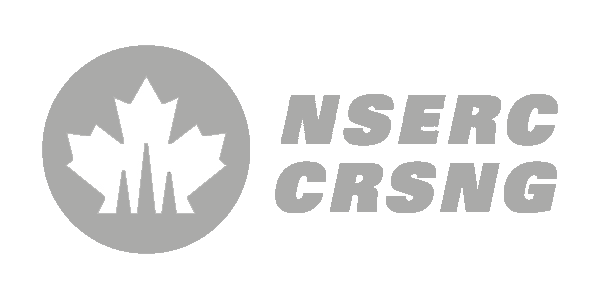 Check out more of Damian’s Sable Island blog and photography work.